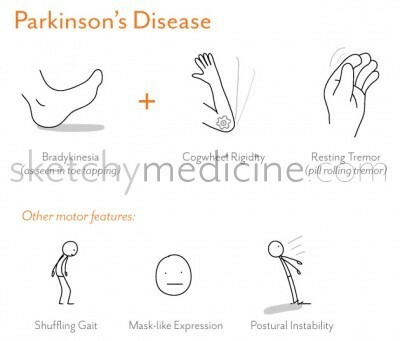 This entry was posted in Neuro, Psych and tagged dementia, geriatrics, Parkinsons by Ali. Bookmark the permalink. Awesome website! 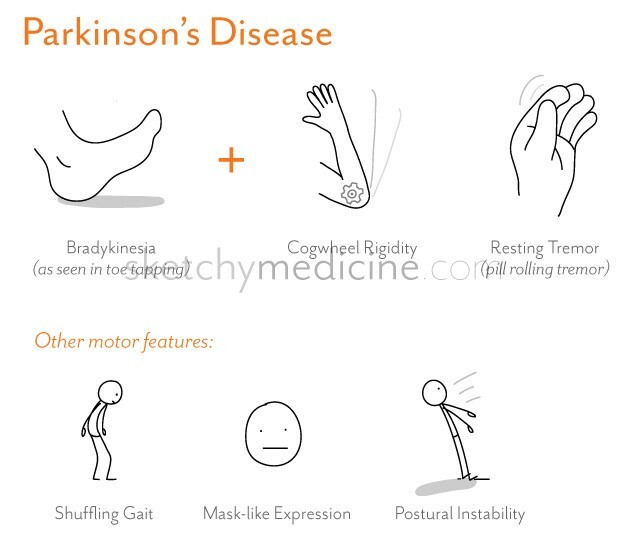 I am going to use your parkinson’s sketch in a lecture for a nuclear medicine meeting, I will be sure to include you in my references! That’s awesome! I’m thinking of starting a gallery of photos of lectures/talks where people have used my images if you don’t mind sending a photo along! Your images are wonderful and a really good way to learn and remember things, I wish I’d discovered this site earlier! I love this image– it’s perfect for an assignment I’m doing on Hypokinetic Dysarthria and PD. Is there anyway to get it without the watermark? I would certainly cite you within my project!